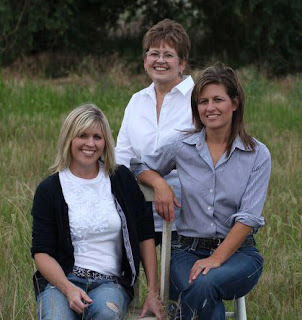 The Fat Quarter Shop is excited to welcome Susan, one of the daughters on the Sweetwater team, to the Jolly Jabber. 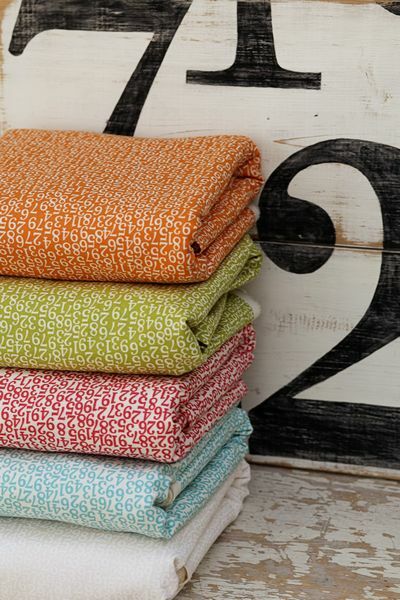 Sweetwater's latest fabric collection is Lucy's Crab Shack from Moda Fabrics. 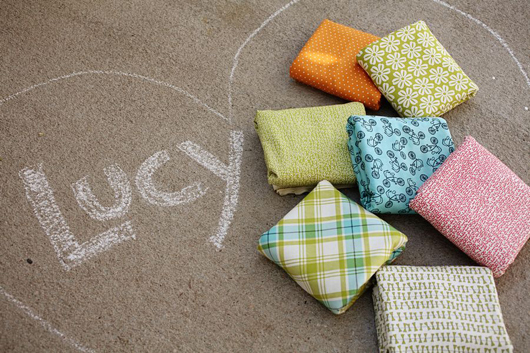 Q: What or who would you dedicate this Lucy's Crab Shack collection to? Do you have an inspiration board? A: This collection is dedicated to Summertime, our favorite time of the year!!!! Our inspiration board usually comes in the mailbox when our mailwoman delivers the Pottery Barn catalog. Q: What is your favorite project using this collection? A: My favorite project is Surf Club. 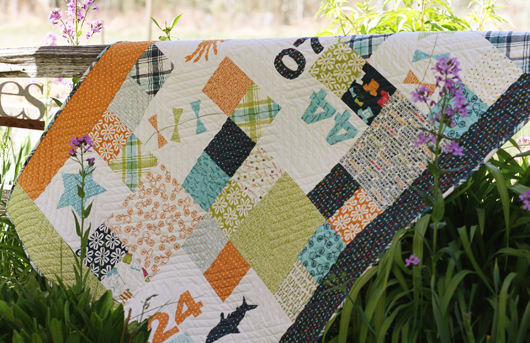 It would be so fun to take this quilt down to the beach and have a picnic. Since I live in Colorado with no beaches I may just have to settle for the picnic with no beach! Q: If time travel became possible, what year would you want to be in? Q: If you had to change your first name what would you change it to? A: Maybe Sophie – Then I wouldn’t have to change my initials. Q: What was your favorite childhood TV show? A: I loved Three's Company. Every show had the same plot and you always knew what was going to happen but I still watched it every Tuesday night. Q: Who is the most famous person you have ever met? A: I stood in line for awhile to meet and get a booked signed by The Pioneer Woman but they ran out of books so I was out of luck. I wish I had another fun story about a famous person I have met but sadly I don’t. Q: What is your favorite App to play on your phone? A: The other day my daughter and sister were playing Tiny Wings. It looked kind of boring but I tried it. The first time I played I thought to myself, “Yep, pretty boring!”, but then, I tried it a little more and you can say I am now hooked. My husband is not so happy that Tiny Wings has come into my life. My sister claims that she is in the top 5% of the world for Tiny Wings points. I am going to have to try and beat that! Q: If you could marry a technology, what would it be? A: I feel like I am currently married to my washing machine but I would like to file for a divorce!